A community hub for residents. 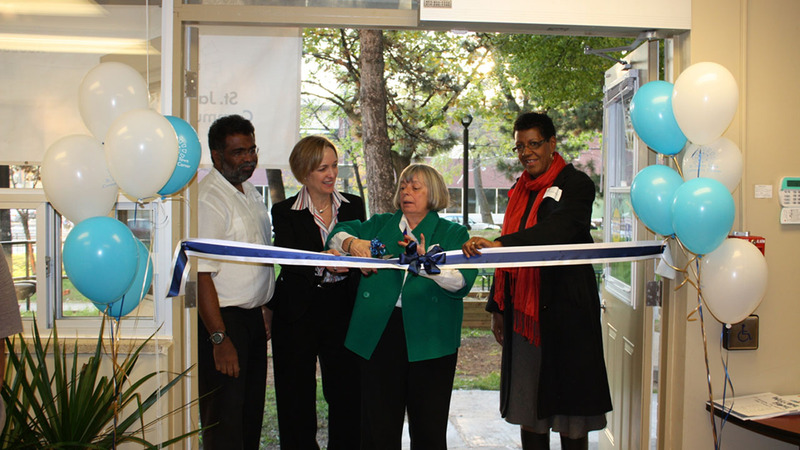 In May 2011, the St. James Town Community Corner at 200 Wellesley opened its doors. The Corner is a fully accessible set of offices, meeting spaces, program rooms and community kitchen dedicated to local initiatives and services to benefit the neighbourhood. This collaboration between residents, public and private funders and service providers is a unique St. James Town community success story. 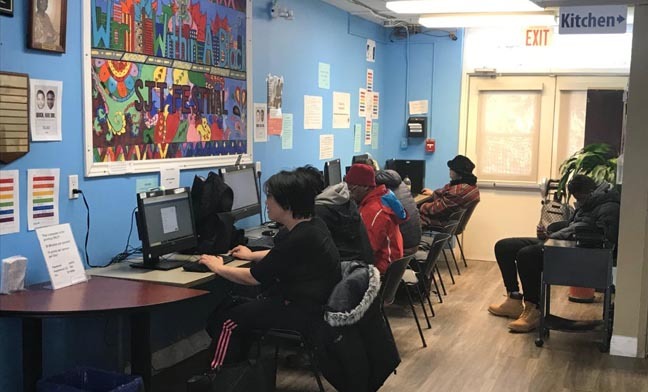 Operating out of the Toronto Community Housing (TCHC) building, at 200 Wellesley St. E., the facility was formed by a local steering committee after consulting with the community, and it is the result of more than five years of effort by local resident volunteers in partnership with a number of service providers. 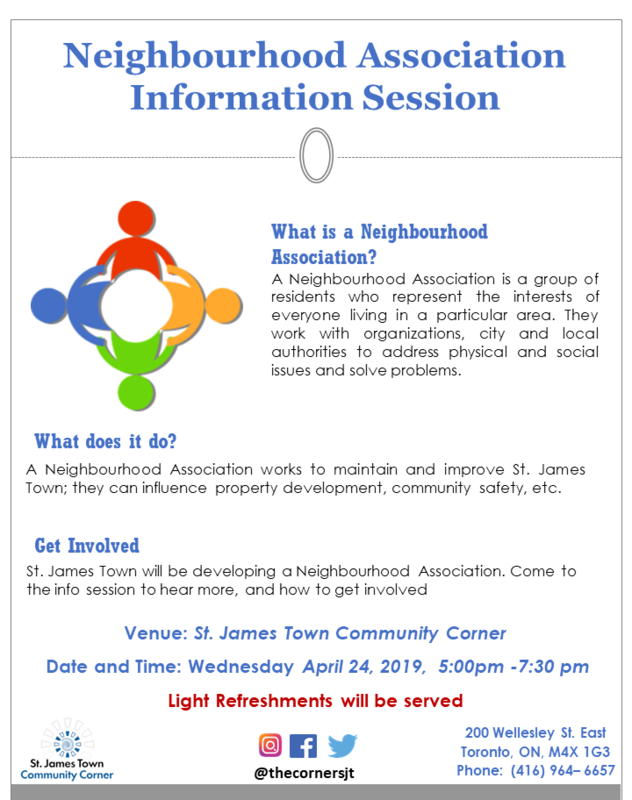 All are committed to improve access for St. James Town residents to services, supports and opportunities to meet, plan and build a strong, healthy neighbourhood. 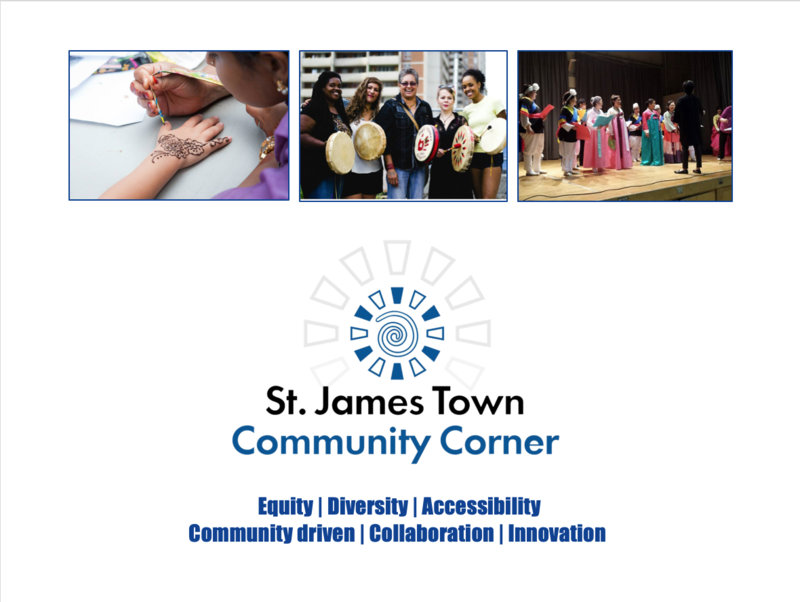 The St. James Town Community Corner fosters community engagement and improves community well-being by providing access to inclusive space, green initiatives, facilitating an integrated continuum of services and programs, building community partnerships, and advocating to address systemic neighborhood issues. 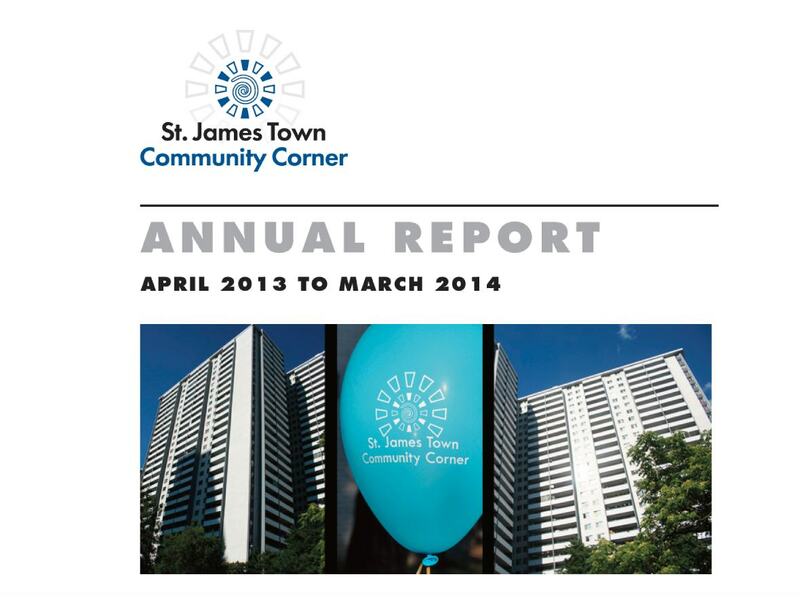 Enhance the health, wellbeing, quality of life and personal development of St. James Town residents. At the corner the residents can gain access to variety of services during the weekdays from 9 am to 8 pm. At the corner residents can get access to several services aimed at the physical, mental, social and financial well being of residents. Health Access St. James Town refers you to appropriate services within or outside The Corner based on your specific requirements. Dealing with a health issues? Need help with health and social services? Are you diabetic? Do you need guidance or diet and nutrition? Do you feel down, sad or lonely and need to talk to someone? Personalized support and guidance through life’s ups and downs. Are you looking for affordable homes or shelter homes? Are you looking for a job, need career advice or want help with your resume? Are you a newcomer to Canada and looking to connect with services and the community? Are you 55+ years old and looking for support and care? Supporting the community further, The Corner hosts various Programs and activities that are organised by partner agencies and volunteers for the residents. Be a St. James Town Ambassador. Work with us as a placement student? Volunteering opportunities at The Corner.